Sarah and I are having a day out visiting a friend on her farm in Essex. 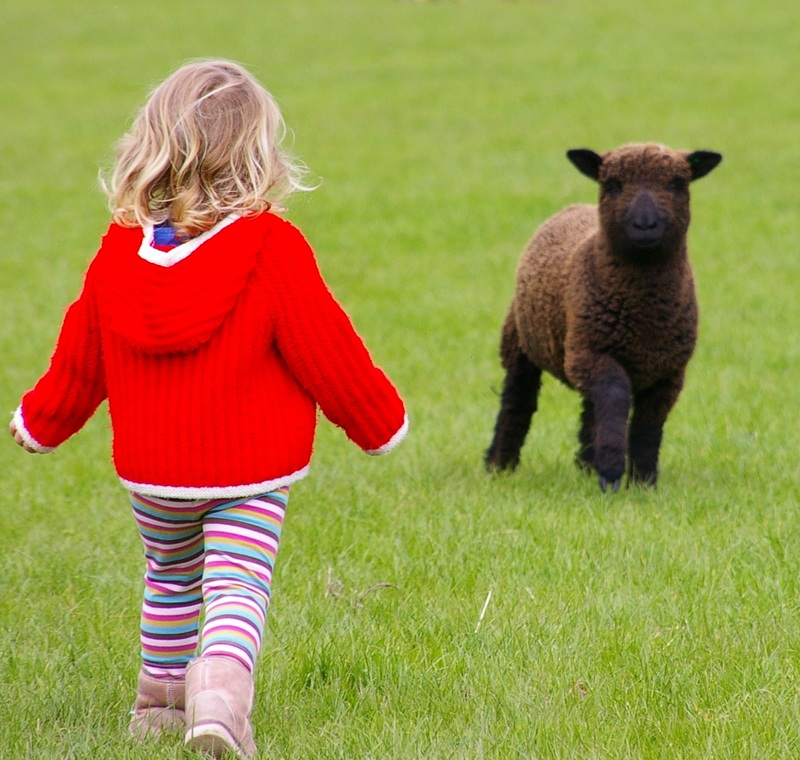 We go every year in time to see the new lambs and we always take our looms with us so the Ashford 12″ Knitters loom is just perfect for this outing as Sarah only has a small car and there are three of us for the ride. 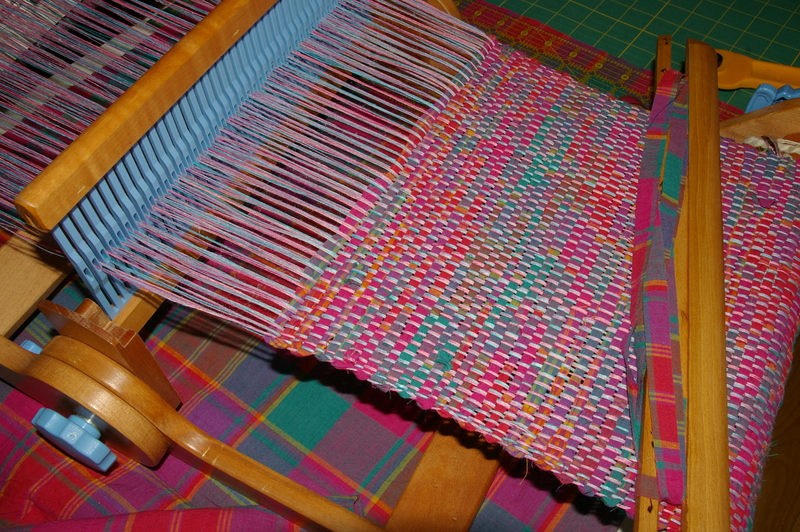 This is an early version of the knitters loom as it has blue plastic ratchets and heddles. The newer ones come with discreet beige fittings that blend in more with the wood. Whatever the colour they work amazing well and despite their small size you can get a long warp on them and weave enough fabric to make a top or a skirt. They come with a 7.5 reed but you can get a 5. 10 and 12 reed too which will give you lots of choices with your warp yarns. 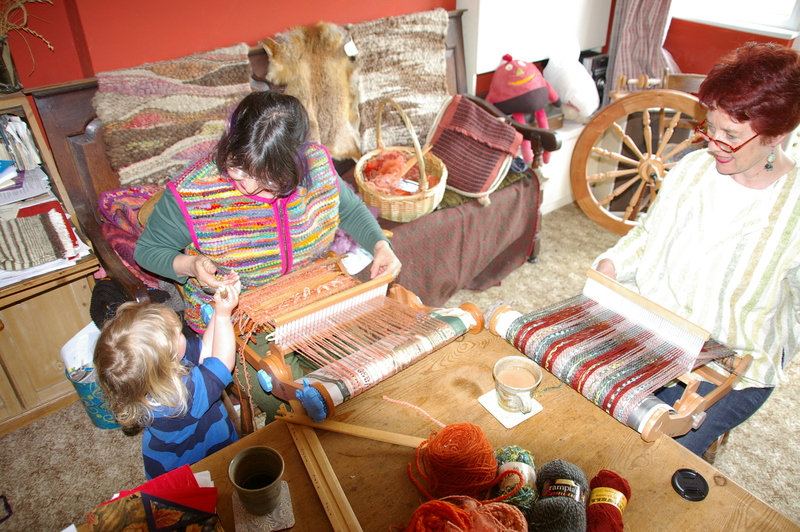 All the “knitters” looms fold with the warp so you can fit them in a bag and take them anywhere. 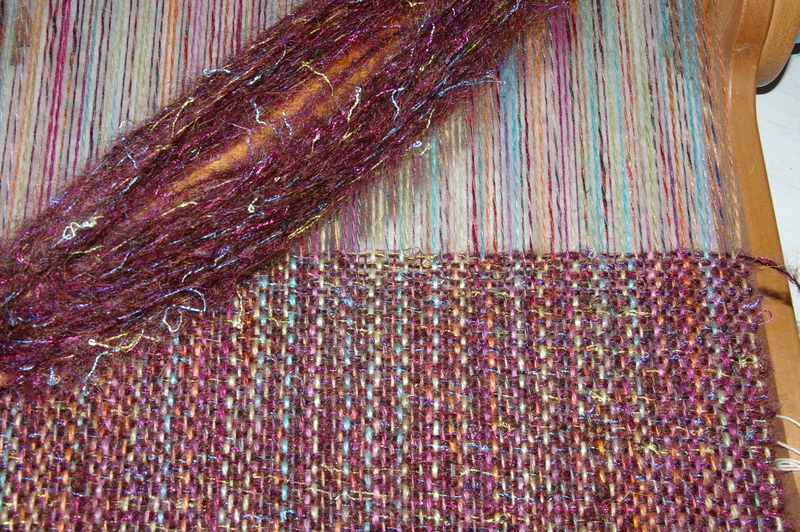 This warp is a spaced dyed mohair plum coloured viscose, threaded 2 mohair, 2 viscose repeated across the width. The weft is a plum mohair and the beat quite light which gives the finished fabric a lofty feel. I love the way the little flecks of turquoise blue bounce out of the deeper pinks giving it lots of depth. I can see a new obssesion coming my way are you at the skipton yarnfest in sept.